Online reading apps are an interesting way to build vocabulary and experience grammar in use. Progressive graded e-book readers allow students to find interesting topics and pursue their own learning. These website engage beginners through intermediate students. A bright, colorful interactive website that uses phonics and simple quizzes to help English students is useful and fun. This easy learning resource can be used by beginners from day one. The quizzes are divided by fast speech, slow speech, sound it out, with/without audio and/or media. ​Short stories and songs that can be printed before watching an animated video help to strengthen reading skills and pronunciation. Activity and answer sheets also available to download. This website, by the British Council, also has excellent pages for spelling and writing. Magic Keys has a variety of e-books that will increase the student's lexicon. These e-books are suitable for learning about words in context and dictionary use. This website also has phonics and clickable words. For each word that is correctly-matched to its meaning, 10 grains of rice are donated through the World Food Programme, providing an interesting way for students to relate their learning to contribute. This click-to-donate interactive website is ad-supported. 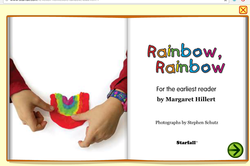 Starfall highlights the word being read aloud, making it easier to follow the text. This interactive website also familiarizes students with pronunciation. Stories are interesting and fun. 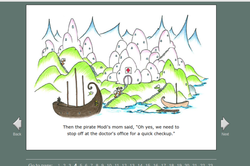 This is an interactive phonics-based website for emergent readers. It could be used in class or as homework to reinforce letter sounds. Students navigate their "monsters" around educational games.